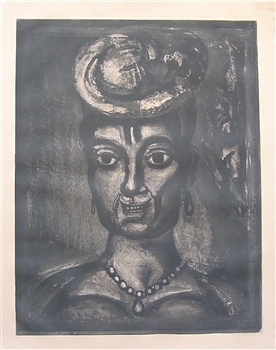 Georges Rouault etching for Miserere, "Femme affranchie a quatorze heures chante midi"
Medium: original etching, aquatint, drypoint and roulette. Plate 17 of the "Miserere et Guerre" series. Catalogue reference: CR 70; W 124. Executed in 1923 and published by Ambroise Vollard in 1948 in an edition of 450 (the first and only printing). Plate size: 21 11/16 x 16 7/8 inches (555 x 430mm) on wove paper with deckle edges and full original margins. Signed in the plate (not by hand); Rouault did not hand-sign any impressions. 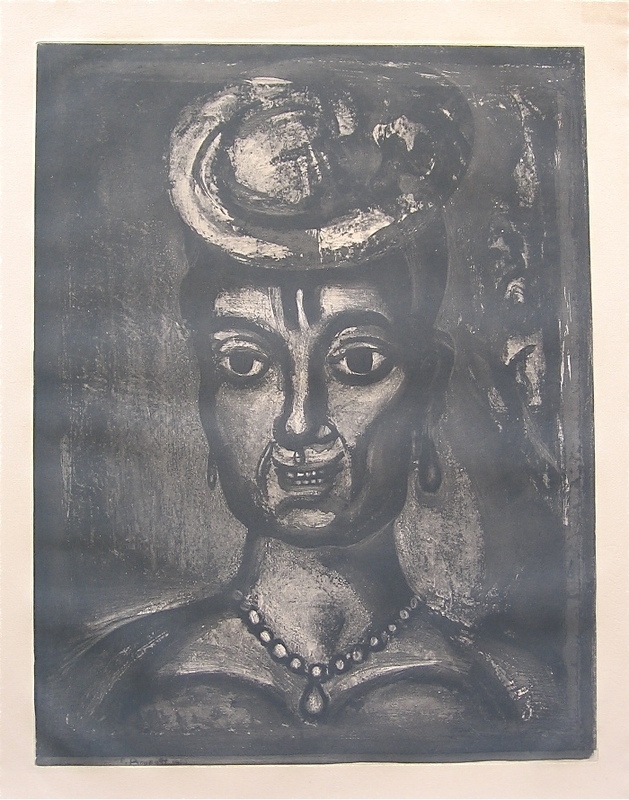 The Miserere series is considered Rouault's greatest accomplishment; and indeed, one of the masterpieces of 20th Century printmaking. Provenance: this etching was once part of the Vincent Price Collection, and their Certificate of Authentication has been conserved and is included with the sale. Condition: there is a mat stain and age-toning to the paper; altogether a rich and magnificent impression.